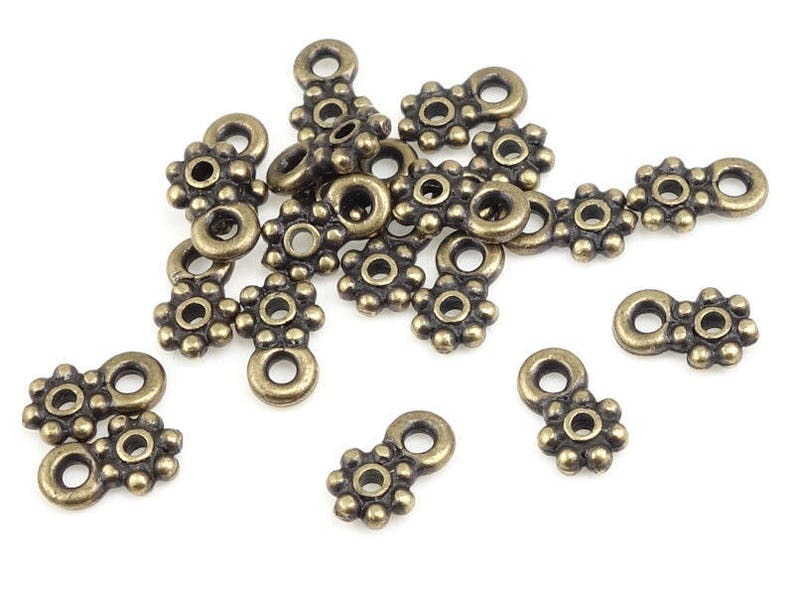 Easily add charms to your bracelet designs using these wonderful TierraCast LOOP HEISHI - available here in a vintage style antique brass finish. 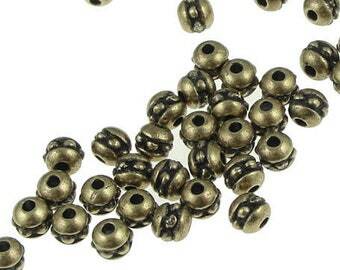 Just string these into your design, and attach a charm to the closed loop on the heishi beads. ★ Optional - upgrade to a discounted bulk bag when you add to cart. These beautiful, exquisitely cast pieces are American made by TierraCast with culinary grade lead-free pewter. My shop policies page has more information about TierraCast products. Thank you for visiting Lytha Studios. Thanks. Not quite what I needed, but it's just as described. It was my error in not understanding the size. Arrived quickly and well wrapped. Great seller. The shipping turnaround from this shop has been fantastic. My orders ship within a day, two at the most...and I have received my orders, in California, within two days. I LOVE these little TierraCast beads. I'll keep ordering them as long as this seller keeps them in her inventory. They are just the right metal accent for about any project. Don't like it? No problem! You can return items for any reason for a full refund of the price of the product within 60 days of receipt. Buyer is responsible for original and return shipping costs. Please note that items that have been altered (leather or chain that has been cut, bags of beads or findings that have been partially used) are no longer eligible for a refund. Once in a blue moon, I make a mistake and send the wrong product - please just let me know, and I'll take care of things as quickly and as painlessly as I can. Need it faster? Upgrade to Priority Mail at check out. All customs forms will be accurately declared. EU buyers please note - VAT is not included in the listing prices, and may be charged to the buyer at delivery. All tariffs, VAT, and/or duties imposed on international deliveries are the responsibility of the buyer. International orders are shipped via US First Class International Mail, and normally take two-six weeks for delivery. Please allow extra time for delivery from October-January. Orders are shipped in 1-3 business days (Monday - Friday, excluding holidays). You can expect a confirmation of shipment with tracking information when your order goes out. My love affair with TierraCast began in 1996 when I first discovered their beautiful Celtic beads and charms, and I've been using these beautiful components ever since. I use TierraCast beads, toggles, bead caps or charms in nearly every project I make! These components are manufactured from start to finish in the United States, and the quality and workmanship is phenomenal - better made and better priced than many precious metal alternatives. 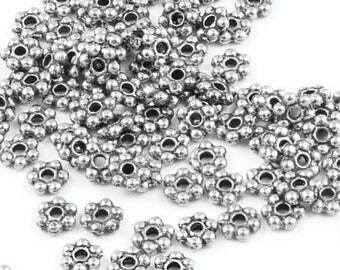 TierraCast beads and jewelry components are FDA certified lead-free. TierraCast is made from the Britannia pewter alloy, and it exceeds both the CPSC standard and the new California law regulating children's jewelry content. Britannia pewter is a culinary grade pewter - it is so safe you can eat and drink from cups and plates made of it. TierraCast beads and jewelry components start with the Britannia pewter base, and are electroplated with various metals to create the finished piece. While ordinary plated jewelry components are notorious for wearing or rubbing off, leaving the base below exposed, electroplated finishes are much thicker and more durable, and will easily withstand reasonable wear and tear. TierraCast beads and jewelry components with the Antique Silver and Bright Silver finishes are electroplated with pure silver (also called "fine silver" or ".999 silver"). These finishes look exactly like sterling silver. These finishes, like sterling silver components, are susceptible to tarnish. However, they can be cleaned with a soft jewelry polishing cloth, or with a gentle liquid cleaner. TierraCast beads and jewelry components with the Antique Gold and Bright Gold finishes are electroplated with 22k quality Gold Plate. This finish will not tarnish. 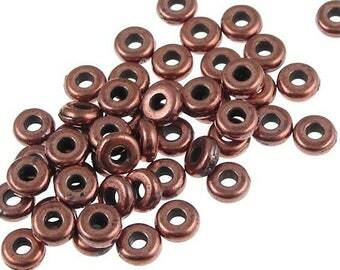 TierraCast beads and jewelry components with the Antique Copper finish are plated with genuine copper. TierraCast beads and jewelry components with the Antique Rhodium and Bright Rhodium finishes are electroplated with Rhodium. Rhodium is a metal in the platinum family, and is scratch resistant and does not tarnish. These finishes are a slightly darker grey than the Antique and Bright Silver finishes, but they blend well with sterling components. Antiquing is a chemical process that gives depth and detail by creating dark areas along crevices and recessed areas, and consequently making the polished areas stand out more. Most of our TierraCast beads and jewelry components have antiqued finishes to bring out the detail. Some pieces are not antiqued (notably the Hammertone Collection), and have a brighter appearance. Each piece will specifically state whether or not it is antiqued or bright in the description. All of the TierraCast copper components are antiqued. Antiquing is a common process - it is used in sterling charms, bali spacers, etc, to bring out the detail of the piece. 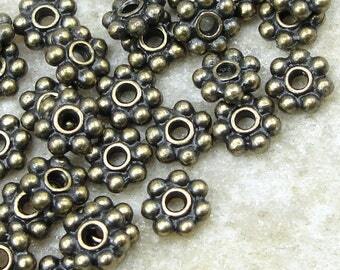 I carry some basic silver, gold, copper and gunmetal plated findings and beads in my shop. (They'll be *explicitly* listed as such - no surprises!) These are plated (as opposed to electroplated), which means the plating layer is much thinner than the electroplated TierraCast products. These items WILL TARNISH, and the finish WILL WEAR. 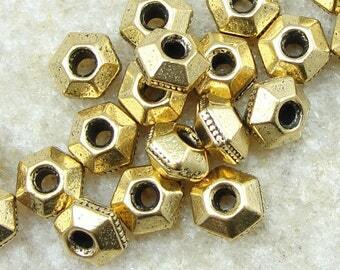 They're a lot less expensive than sterling or gold-filled, and they are NOT as good as sterling and gold-filled. Please keep that in mind when you purchase - refunds/exchanges will not be accepted on plated items that have been used and tarnished, because that is *what happens* to plated items. Cat's eye beads come in many colors and shapes. Some of our beads have special effects - in addition to the plain, polished variety with also carry acid washed "iced" beads, and extra sparkly faceted beads. Colorful, velvety cat's eye beads are the perfect complement to Swarovski crystal. Fiber optic cat's eye beads are made from a special glass (the same glass fiber optics are made from) - hence the name and the effect! 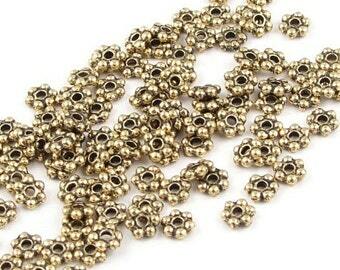 All of our beads are GRADE A cats eye beads, and made in China. Cat's eye beads are mass manufactured, relatively inexpensive, and are usually sold by the string. 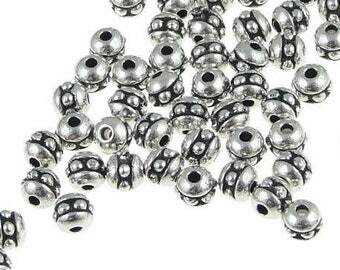 Due to the mass production nature of these beads, you should expect to receive a few "duds" when ever you buy a package of these beads. Every string will have the occasional cracked or mis-drilled bead. CPSIA - My supplies are not intended for use in children's jewelry.